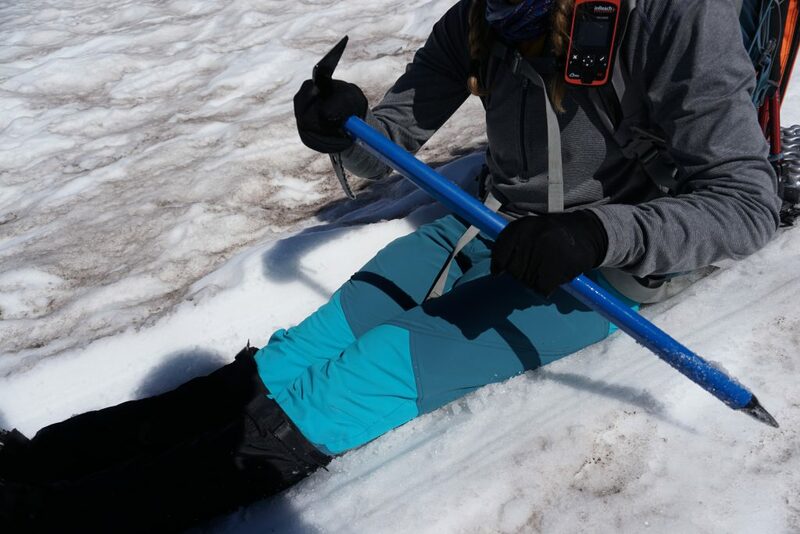 The Ortovox PALA alpine pants won’t snag on all of the sharp, pointy objects that come with winter mountaineering, but the fun colors and technical features are sure to snag you a ton of compliments on the mountain while being highly functional as well! 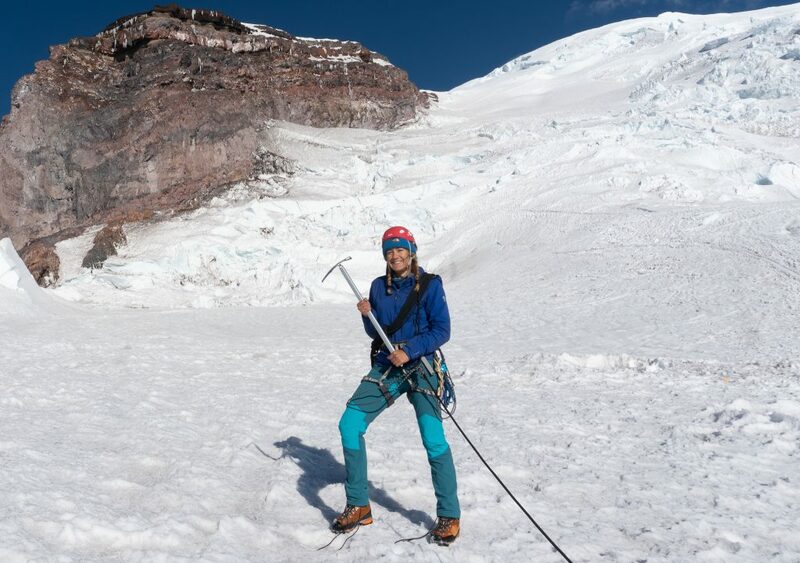 I had the pleasure of testing out the Ortovox PALA alpine pants on the Disappointment Cleaver route on Mount Rainier. 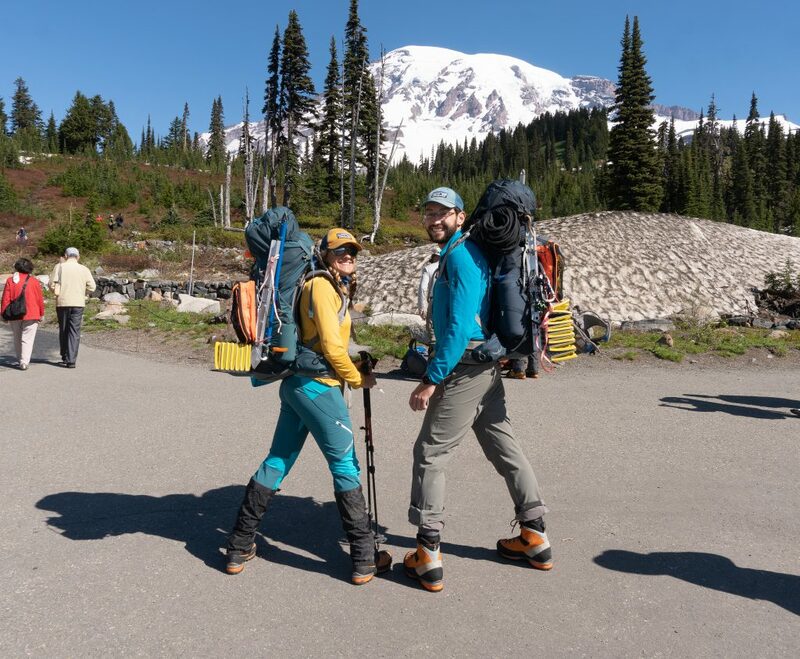 From the beautiful subalpine meadows and volcanic rock near the visitor center to the massive glaciers approaching the summit, Mount Rainier provided me with a wide variety of terrain and weather conditions for testing out my new favorite piece of gear! We experienced sunny 60-degree weather in bluebird conditions at lower elevations and single digit temps with 40+ mph winds at base camp (where we spent most of our time) around 11,000 feet in elevation. Say goodbye to unflattering alpine pants with a straight cut. 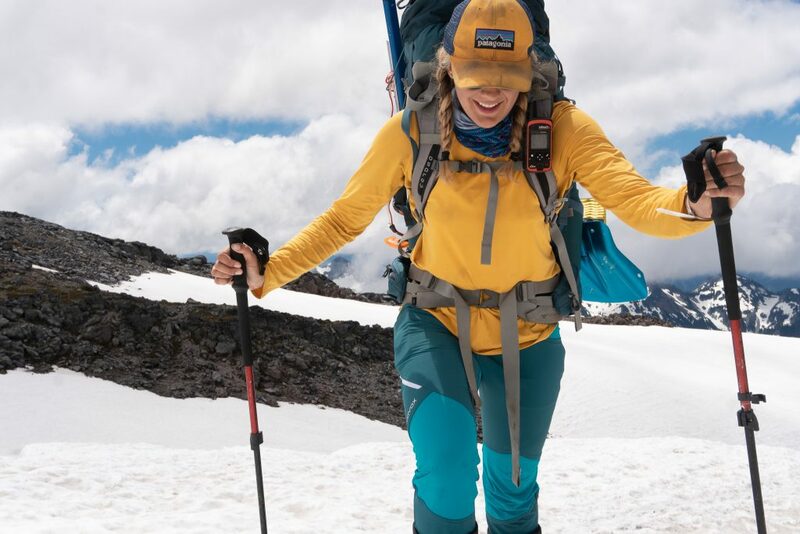 The PALA pants feature a ‘skinny’ cut with an elastic band around the ankles to keep snow out, and 4-way-stretch material that gives the climber a flattering figure. I was hesitant about the slim fit of the pants at first, but my mind was quickly changed after spending just a few minutes in them. 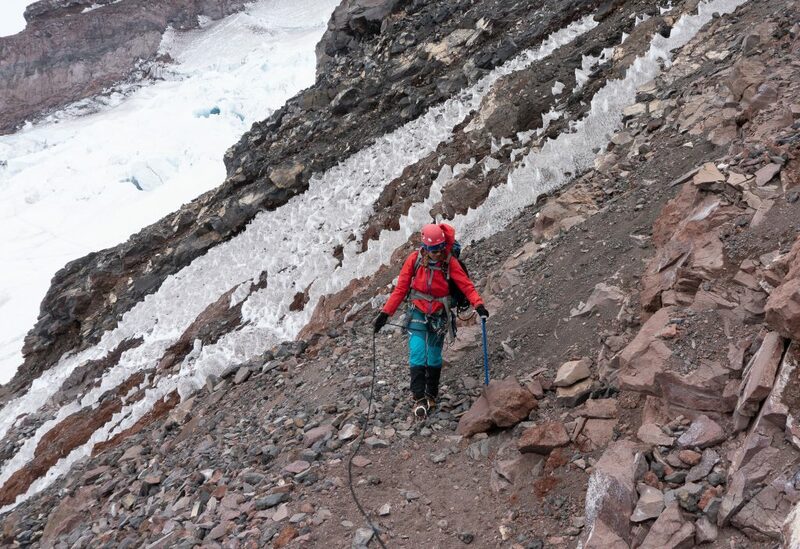 The lack of extra fabric around the shins and ankles prevented me from snagging my crampons on my pants, something that happened frequently with other brands of alpine pants I’ve owned in the past. I also found that my gaiters fit really well around my legs without all the extra fabric getting in the way. The Pala pants feature anatomical reinforcement around the knee area with highly scuff-resistant CORDURA fabric. For the first time ever, I came home from a rugged mountaineering trip with zero crampon holes in my pants. SCORE! Alright, it’s time to talk about the best part of any mountaineering trip (in my opinion). GLISSADING! 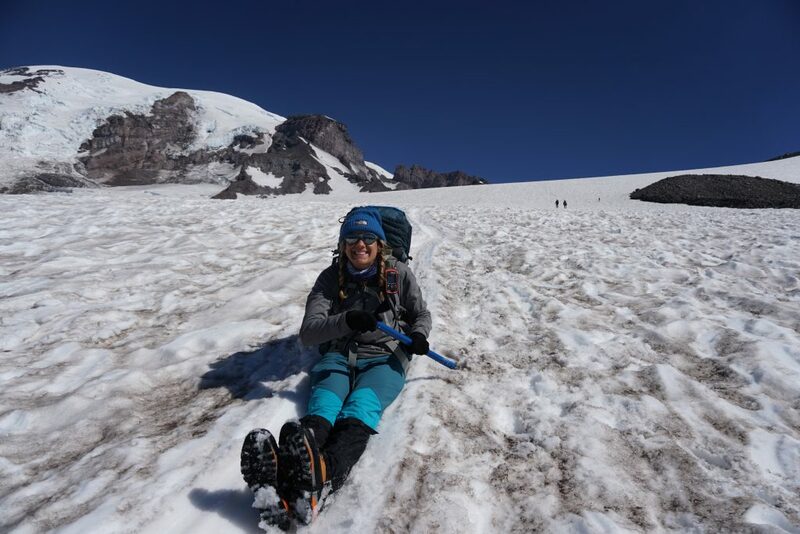 After 9,000 feet of elevation gain on Mount Rainier, I was so thrilled to be able to sit down on the snow, kick my feet up, and enjoy the endless miles of sliding back down to the car. Although they are not waterproof, the Durable Water Repellent coating made them just water resistant enough to complete my glissade without worrying about my rear end getting cold or wet. The PALA pants also feature an elastic waistband with adjustable Velcro straps around the hips to get the fit just right, eliminating the need for a belt and providing maximum range of motion and flexibility. The Merino Cool Air Mesh technology made the pants very breathable during the warmer portions of our climb by wicking moisture away from my legs. 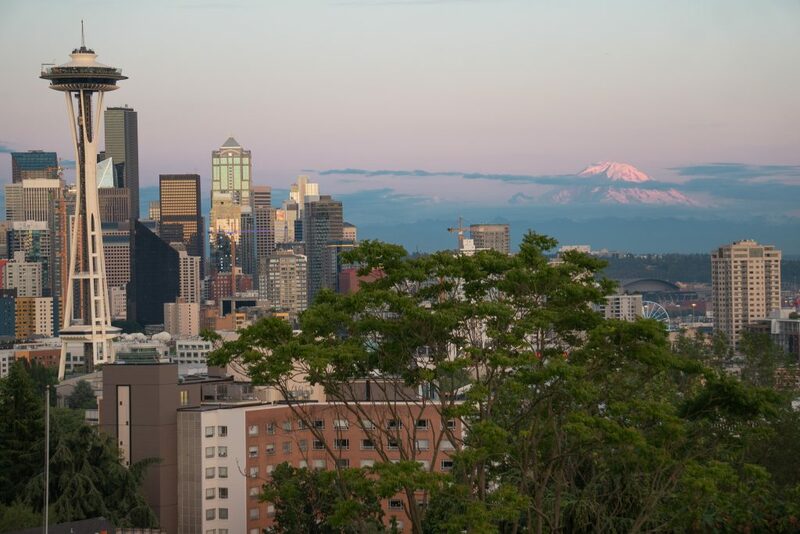 Although the name suggests otherwise, we did not encounter any rain on Mount Rainier. We did find, however, that just about everything we brought on the mountain was constantly wet due to the high humidity. 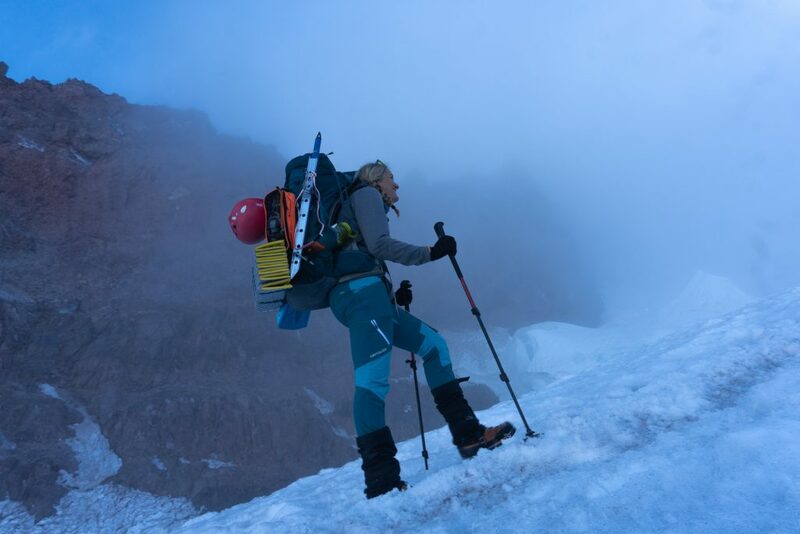 It’s essential for mountaineering clothing to stay dry when climbing in below freezing temperatures to prevent hypothermia. Despite the humidity and snow we encountered, these pants kept my legs dry and warm throughout the entirety of my trip. I didn’t even need a base layer underneath the pants to stay warm thanks to the use of Merino Wool, a huge bonus when you want to climb fast, light, and comfortable. To be honest, I didn’t take them off for three days! The PALA pants are surprisingly lightweight for how robust they are. I did not need to pack them in my bag since I wore them for the whole trip, but they pack down very small if need be. My only suggestion for improvement would be to add tall/short sizing options. With that being said, I have very long legs and found the Medium to be the perfect size for me. Shorter climbers may find the pants to be too long, but the elastic band at the bottom should minimize any bagginess. It’s time to toss out your old, weathered alpine pants and invest in some new ones. Seriously. They do it all! 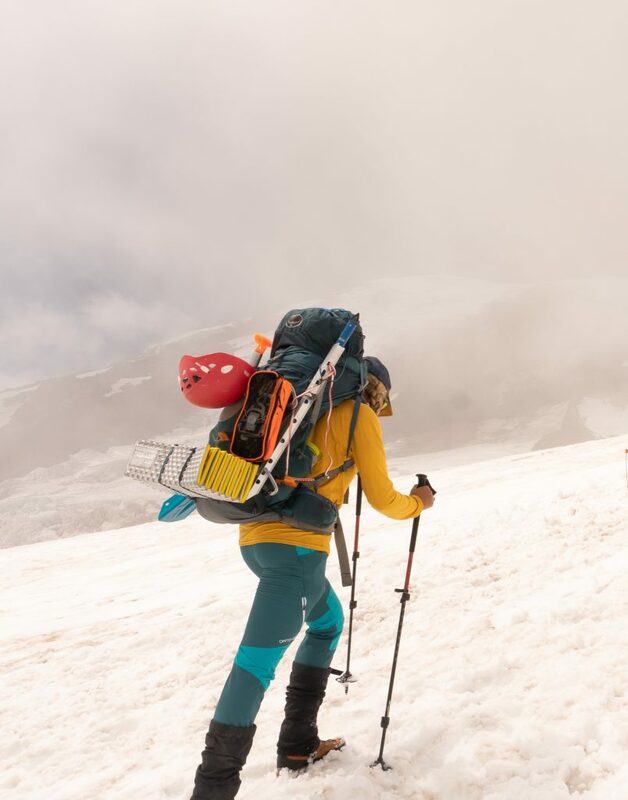 The PALA pants kept my body temperature regulated through the ever-changing weather conditions on Mount Rainier and proved their durability through miles of climbing on rugged volcanic rock and cold, snowy glaciers. Shop the Ortovox Pala Pants on Outdoor Prolink. Not a member? Apply today! Lindsay Hastings has worked as a hydrologic technician for the United States Geological Survey for four years. 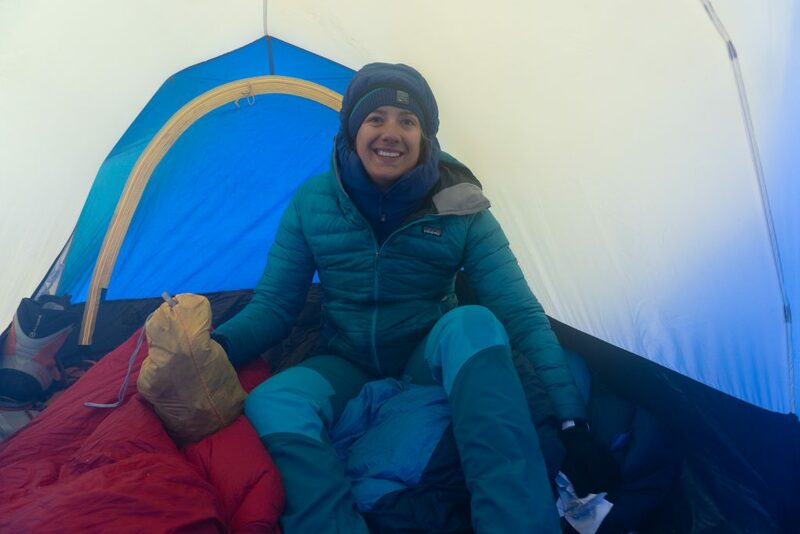 As a field scientist, she has logged countless hours working in a wide range of conditions from sub-zero temperatures in the plains of Northern Minnesota and the high altitude regions of Rocky Mountain National Park in Colorado, to record-breaking heat in the deserts of New Mexico. 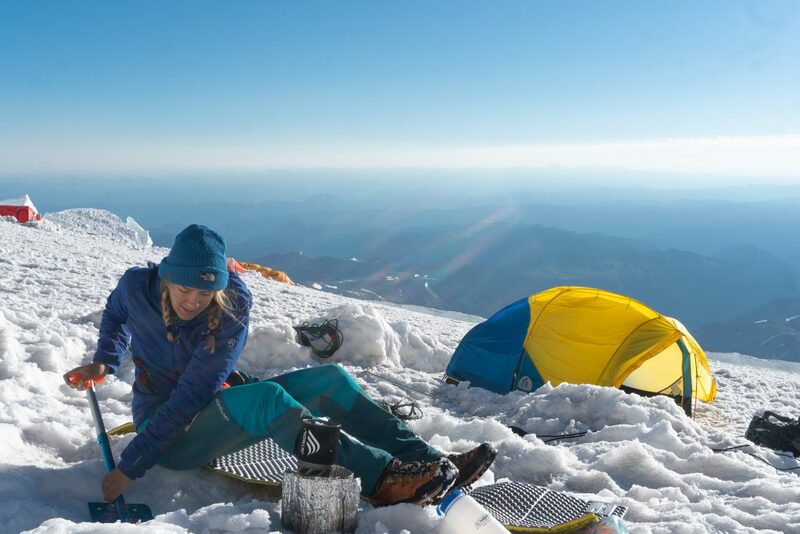 When she’s not working in the field, you can find her chasing her next thrill through rock climbing, mountaineering, camping, ice climbing, trail running, or practicing photography in the mountains. Connect with her on instagram @wanderlinds_.